SPF 30 PA++ protects from UVA, UVB and visible light. 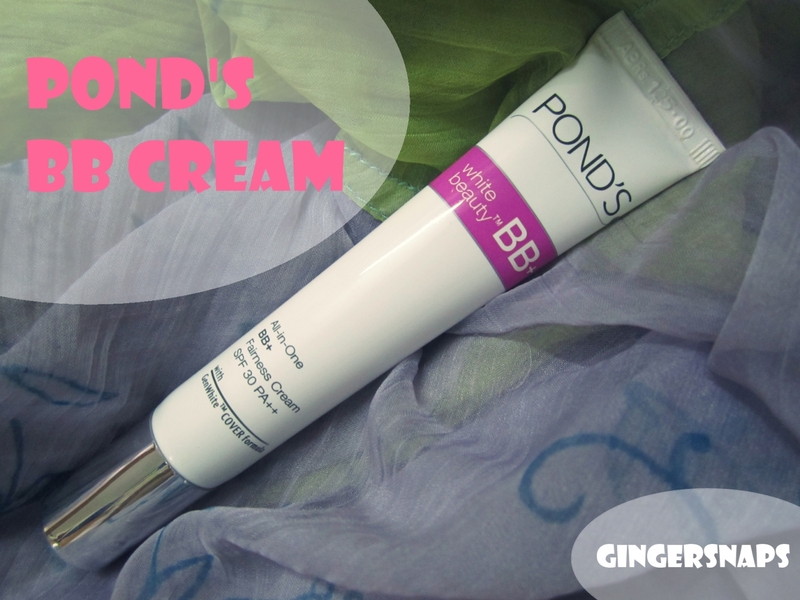 I am almost at the end of my Pond's BB cream tube and I realized that I have not reviewed it yet. Pond's BB cream comes in a convenient tube packaging, and it's available in one shade and two sizes. The shade it comes in is a little bit darker than my skin-tone, not that noticeable actually. But I actually prefer using foundations which are a tad bit darker than my skin-tone to avoid looking ghostly white. So the shade actually works for me. Out of the BB creams that I have tried (Garnier and Maybelline,) I like this one the most. Frankly, I had forgotten about their fairness claim and only remembered it while writing this review. Good coverage: I think Pond's BB cream has got fabulous coverage, which can be built from light to medium. As this BB cream has got good coverage, it needs to be blended well. Nowadays my makeup routine has changed to just applying Pond's BB cream and dabbing concealer on my blemishes. SPF 30 and PA++: Which means it gives protection from both UVA and UVB rays, which is awesome. Makes my face oily: My oily skin turns into an oil factory with this and I need to blot frequently during the whole day, but then that is the story of my life with any given product. This definitely needs to be set with powder. Available only in 1 shade: If you skin tone is too fair or too wheatish you should buy the little 9gm tube first to see if this shade works for you or not. Come out with more shades, and different versions for oily and dry skin and then we'll talk about a 5. But I do love this BB cream and definitely recommend you all to try this! Going to be repurchasing this. Have you tried Pond's BB cream? What are your thoughts about it? I am currently using Mayeblinne BB cream,,but yeah tempted to try this out ! Fashion Quotient-Indian Fashion and Style Blog <3!! I'm quite fed up of bb creams now (and even cc). I've gone back to my regular sunscreen now coz bb creams really don't give adequate sun protection coz we use so little of it. Thank you Dollie :). I agree with the fact that that BB creams don't provide us with adequate sun-protection as we cannot slather on a lot of it. I do use a pressed/loose powder with sun protection on top of this one. I have a big issue with this cream's oiliness. Writing a review on it too. Very Nicely Reviewed!! I have bee thikig of getting this but i guess i would wait till the monsoon end...since i have a super oily skin and i hate touching up my makeup every few hours.. I'm using it too. I usually put a layer of olay cream and then this only on the spots and blend it in..